With its main campus in the beautiful natural landscape of Nittany Valley, Penn State is a public, land-grant, research-intensive university. Students and post-doctoral fellows have ample opportunities for both professional and personal development through scientific seminars and meetings, as well as a variety of student-run professional, athletic, cultural, and social clubs. Penn State also supports active graduate student and postdoc associations. In 2015, 6,106 graduate students conducted research at Penn State’s University Park campus. The university fosters an open, collaborative, interdisciplinary, and diverse environment where faculty, postdocs and students work together to tackle exciting scientific questions from gravitational waves to our favorite, pollinators. Penn State’s University Park campus had research expenditures of $801 million in 2015, with the College of Agricultural Sciences ranking fourth in the University with $103 million in research expenditures. Penn State is a land grant institution. Our mission is to conduct cutting-edge research to address both fundamental questions and emerging problems facing our society. We are committed to communicating our findings and knowledge with broader audiences through extension and outreach activities. Penn State’s outreach programs reach one million households annually and extension teams provide science-based solutions addressing the needs of local communities in all 67 counties of Pennsylvania. All this hard work and dedication of our faculty, postdocs, and students give the Penn State its stellar international reputation. 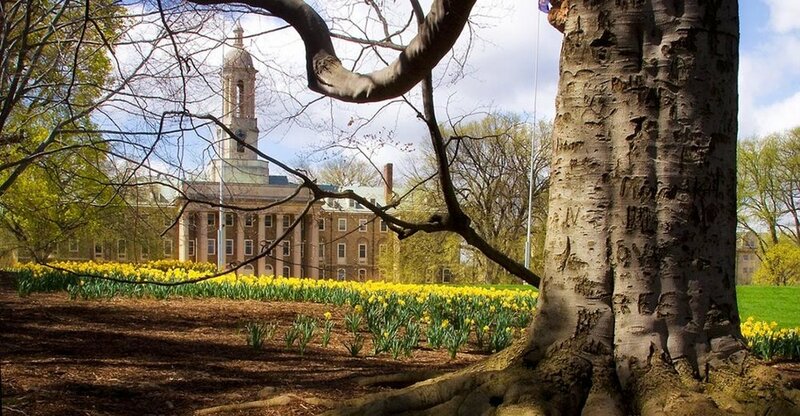 In the 2016 ranking from US News & World Report, PSU’s University Park campus was ranked 14th for all public universities, while the National Research Council ranked Penn State’s Entomology Graduate Program 4th in the US in 2010 using data from 2005-2006. The Department of Entomology had 56 graduate students in Fall 2015. We average 60-65 applicants per year to our graduate program and about an 85% acceptance rate of offers we make. Our department published some 125 refereed journal articles in 2015 and had ~ $42.2 million in current grants. The university and the town are virtually fused together and the lively downtown area offers a variety of international eateries, cafes, and shops. A 130 ha natural fresh water bog surrounded my mountains in the Rothrock State Forest 20 minutes from campus. The area has old growth forests particularly at Alan Seeger Natural Area just over the ridge. These are just some of many natural areas in central Pennsylvania. And there are lots of blueberries- and bears, who like to eat the blueberries. The slopes are 10 minutes away. Bored of sitting in the office? Pick yourself a local coffee shop for a change of scenery. You will soon notice they are great places to get some reading or writing done! 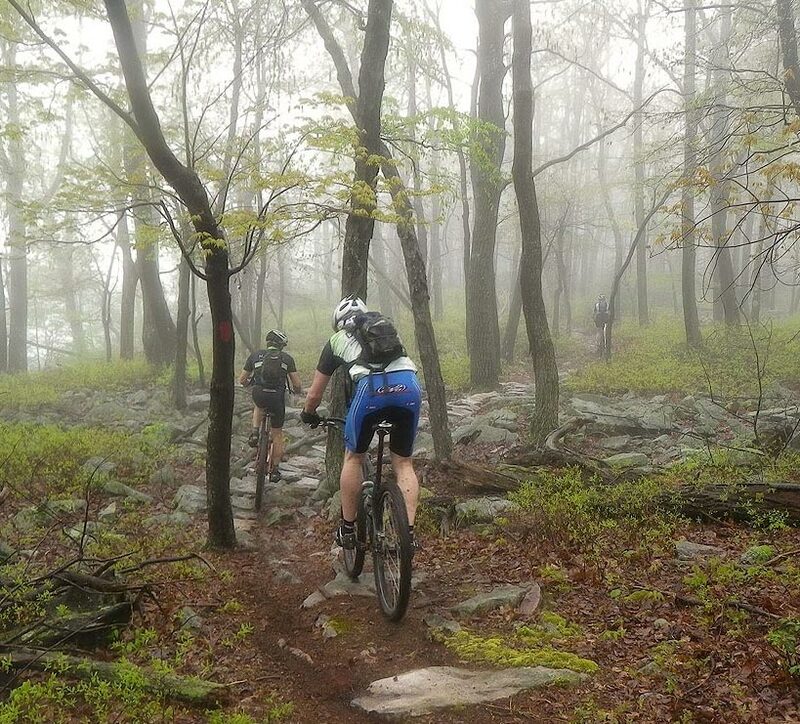 There are endless trails in and around State College. Check them out here.